An associate professor of Cosmological Physics at a local university traveled to Antarctica for research. 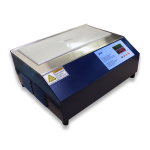 TECA’s High-Capacity AHP-1200CPV Cold Plate went along with him! 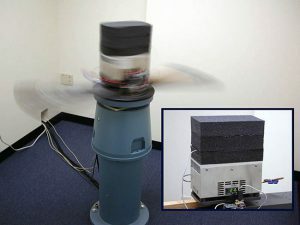 The AHP-1200CPV is being used for testing on a NASA project. 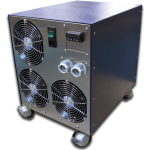 Customer plans to use the TEC unit to regulate the temperature of some electronics in an outdoor enclosure. 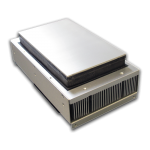 The electronics will be mounted to a cold plate where they can be cooled by direct contact with the TEC. The walls of the enclosure will be insulated to reduce thermal losses to the outside world. 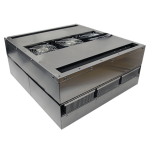 The hot side of the TEC will be in a separate, ventilated part of the enclosure to carry away waste heat. 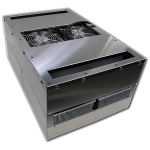 Customer will provide longitudinal air flow along the heat sink, so the built-in fan will not be necessary. 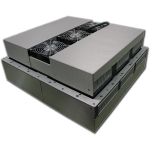 Originally considered using a solid-state air conditioner to cool the entire enclosure, but now prefers the direct-contact method for lower cooling requirements and smaller size. 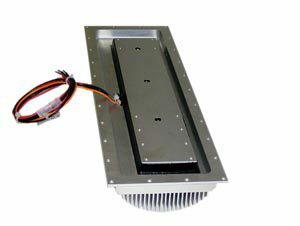 The active load that needs to be cooled is about 50 W. It will consist of a number of RF components (amps, sources, etc) mounted to a common cold plate. Several passive components will also be mounted to the plate. The whole temperature-controlled assembly will be insulated by an inch or so of foam or something similar. 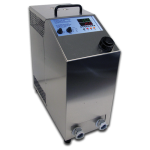 The ambient temperature range is roughly 0 to 100 °F at the extremes. 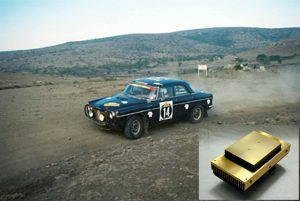 A rally car racing team had a need to chill drinking water inside their moving vehicles, while they raced through very hot desert conditions. 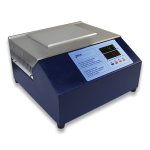 A solid state cold plate based on TECA model AHP-300CP. 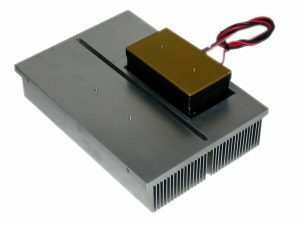 The AHP-300CP thermoelectric cold plate (Peltier cold plate), which draws power directly from the car battery, was the solution to maintain the temperature of the water at an acceptable level. With a ready supply of chilled water, the racing team could drive at peak performance. A branch of the US military had an overheating problem with a high-tech radio inside the wing of a fighter aircraft. 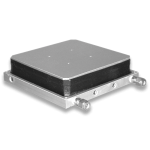 TECA developed a custom, high-performance cold plate that withstand the shock, vibration, and G forces created by one of the most technically advanced aircraft. 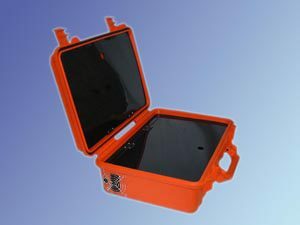 Portable medicine cooler needed for carrying emergency intravenous solutions, all components must be enclosed within the case. 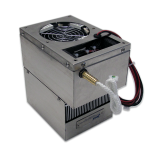 TECA designed a custom thermoelectric (peltier) based cold plate built into a Pelican™ Box. 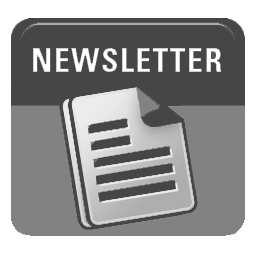 TECA is developing this product for a new customer. 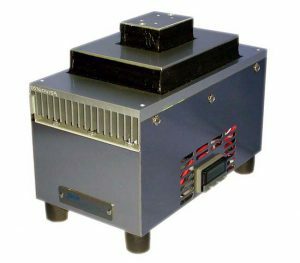 We have taken a standard Pelican™ Box and configured a battery powered thermoelectric cooling system which is installed totally inside. 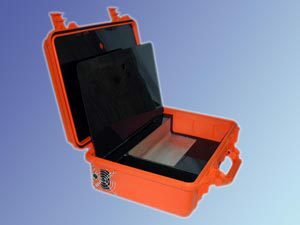 This cooled box is for the purpose of transporting up to 4 liters of emergency intravenous solutions safely. 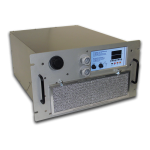 There are fitted compartments inside as well for transporting other necessary items for patient care. 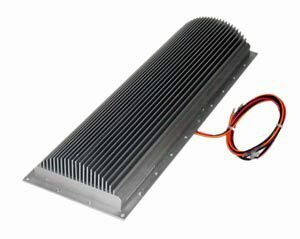 Since nothing is exposed or protruding from the box, our customer has ended up with a good looking and very rugged, functional thermoelectric product.